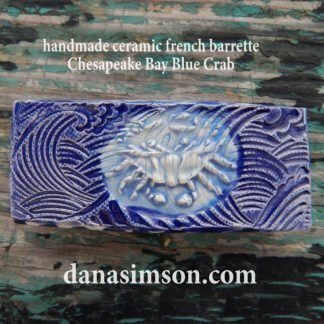 The blue crab barrette is hand pressed into cobalt blue glaze over incised ceramic, backed with a sturdy clip to secure your tresses. Celebrate the beach and bay all year long. 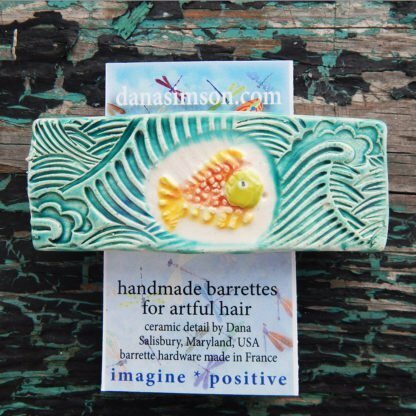 Or you can request the fish barrette-just note it in your order. 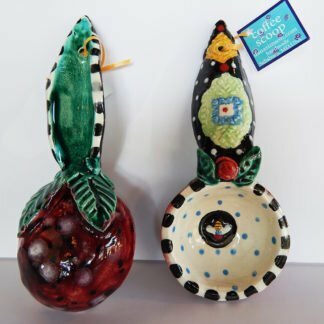 Either is a perfect gift for any mermaid. 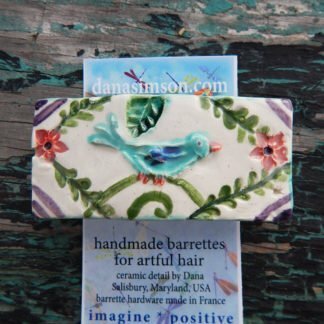 But trust me, if you keep one for yourself, it will become your go to; to doll up your do. 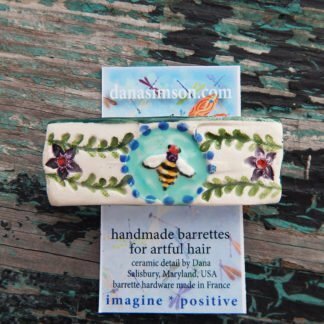 Each barrette will vary a bit in size colors and patterning as I make them each individually. They average about 3″ wide by 1.5 wide. Each comes with a nice tag and is signed by me:). 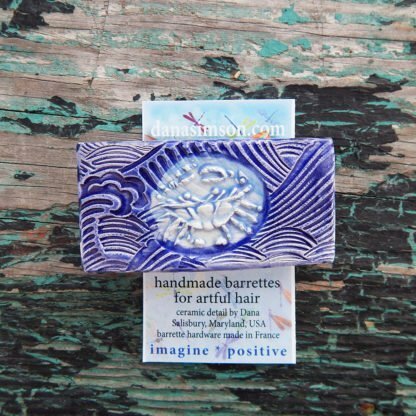 The blue crab barrette is hand pressed into cobalt blue glaze over incised ceramic, backed with a sturdy clip to secure your tresses. Celebrate the beach and bay all year long. 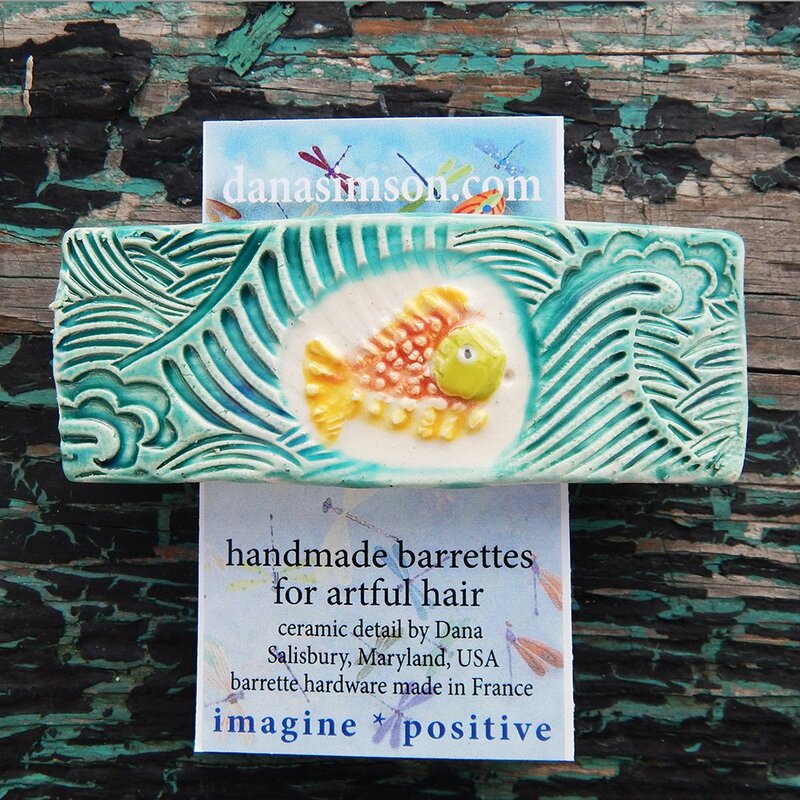 Or you can request the fish barrette-just note it in your order. Either is a perfect gift for any mermaid. But trust me, if you do keep one for yourself, it will become your go to. 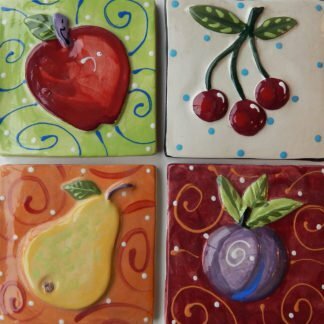 I made a series of stamps by incising, adding bits and carving clay to make a reverse image. 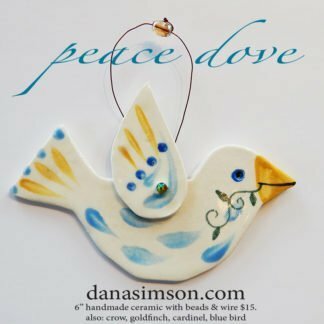 These come in handy as I cut out each barrette, pressing it into different clay reliefs that I have used for other projects. 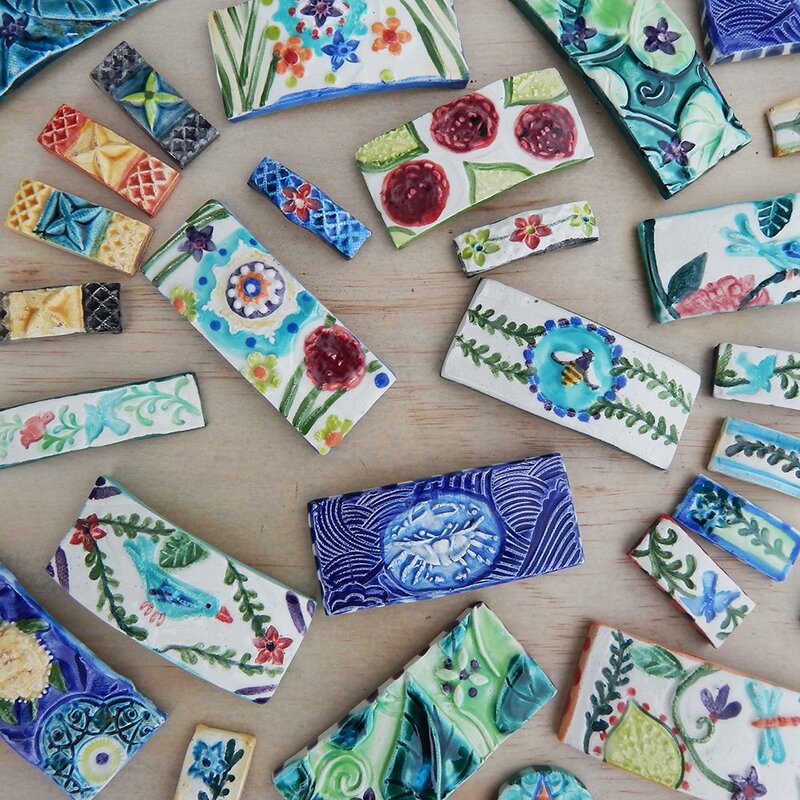 Next I use my smaller stamps to further detail each rectangle of clay. The edges must be smoothed, before I place each carefully over a dowel, weighing down either edge so a gentle curve is created. 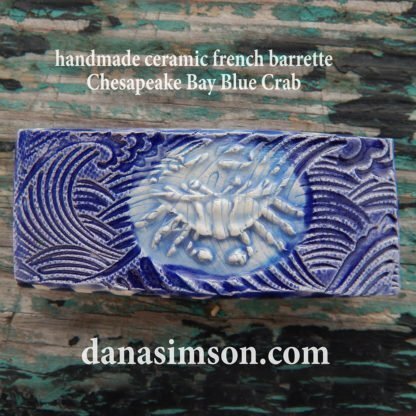 Each blue crab barrette must fit the metal structure of the sturdy clip made in France. I kept a blue crab barrette which is employed nearly every other day. It holds my thick hair back very nicely. If I just want to gather a few wisps to gather the hair from falling in my face, it does that perfectly as well. The french clips are very well made. Feel free to give your barrette a work out. I make them to last. 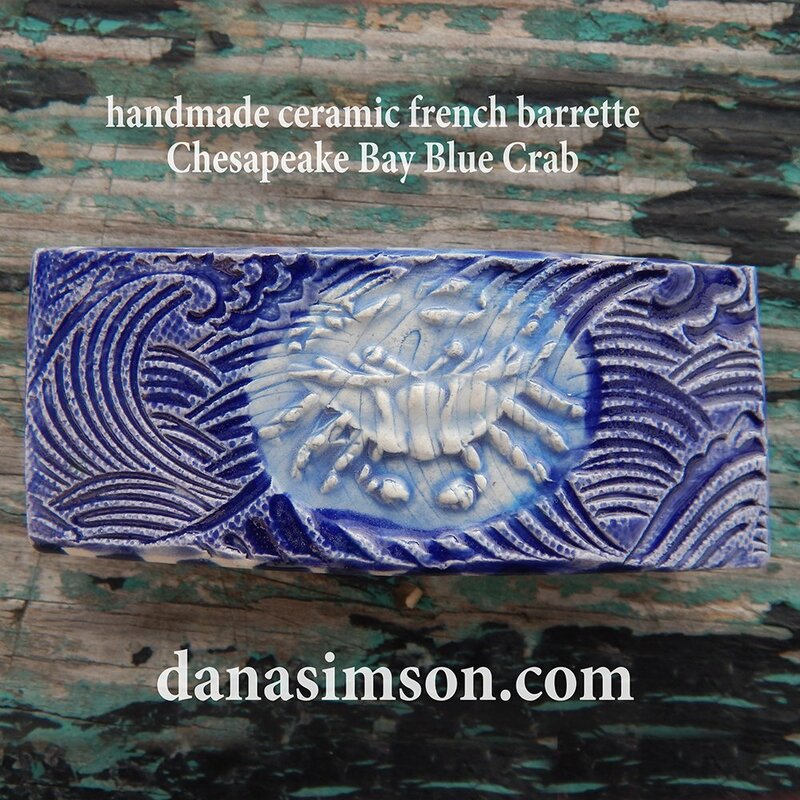 If you are a fan of blue crabs or mermaids, you may order this image in any of my products from pendants or clocks to gift cards or a car art sticker.